eGo AIO Pro Kit is an all-in-one style device with 2300mAh built-in battery and 4ml e-juice capacity. Adopts the design of improved top air inflow control and best anti-leaking structure, which will defitely bring you best vaping experience. 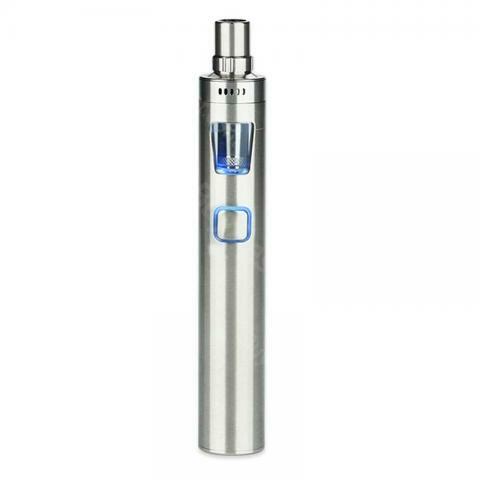 eGo AIO Pro Kit is an all-in-one style device with 2300mAh built-in battery and 4ml e-juice capacity. Adopts the design of improved top air inflow control and best anti-leaking structure, which will definitely bring you best vaping experience. Simple operation with only one fire button, but powerful and efficient. The appearance is much more fashionable with the 7 changeable Indicator lights. The BF SS316 coil can bring you huge clouds and unforgettable vaping experience. Get this amazing and popular device now! • You can buy BF Replacement coil at BuyBest. I like this all in one starter kit very much,easy to carry everywhere! Good flavour. Joyetech has many AIO series. I prefer this pro one for its classic stylish and long battery life. AIO is definitely designed for newbie. Not have any complicated operation. Easy and quick, I would like to recommend it to my friends. My parcel came so quickly and I've use my AIO Pro kit for a week. It went through perfectly. This ego pro starter kit is super easy to use, all you have to do is filling in juice and enjoy all day's vaping.